Did anyone else notice this neatly packed bag outside Boots on the High Street on Saturday afternoon (March 4) writes Seana Lanigan? 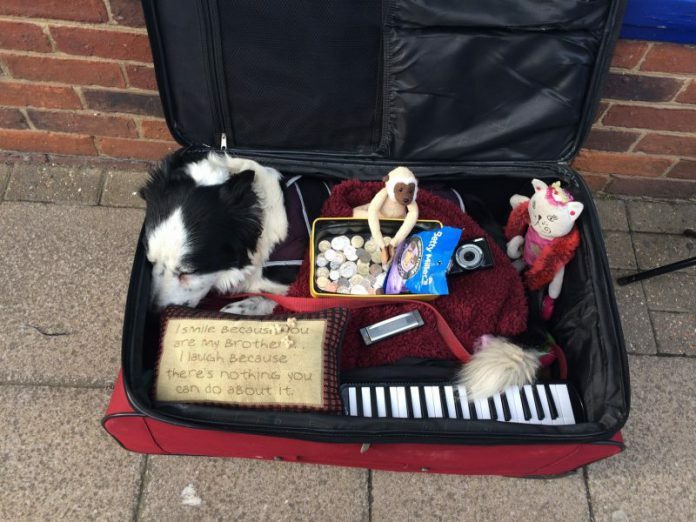 I couldn’t see anyone around for the few minutes I hung around but the dog in the case seemed perfectly happy and at home, despite most of his body being packed underneath other items. You can see his head on the left, but that’s about it, apart from his white tail, popping out bottom right!